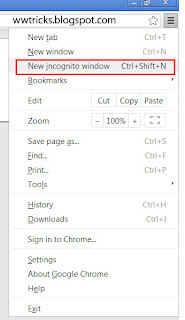 When you activate private browsing on your any browser, it means that you prevent your browser from saving your history including Cookies, searches and other private data in the private browsing window. Sometimes private browsing mode is important, Let suppose you have 2 facebook profiles and you want to access them at a time, or your friend want to sign-in to his account on your pc, so what you have to do? 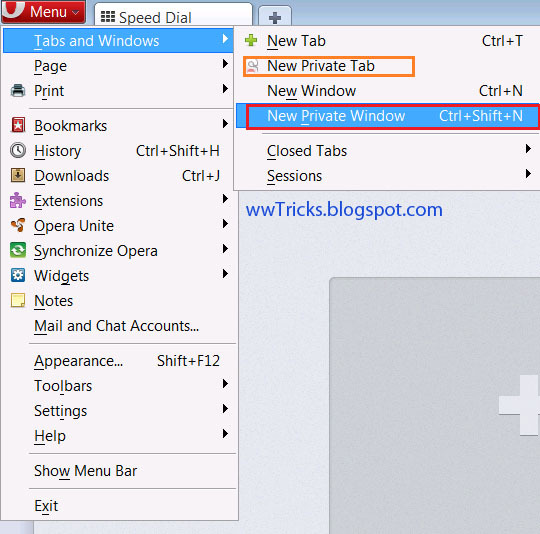 there is a solution, you just need to activate private(Incognito) window. So here we are going to show you how you can activate private browsing mode in your browsers. 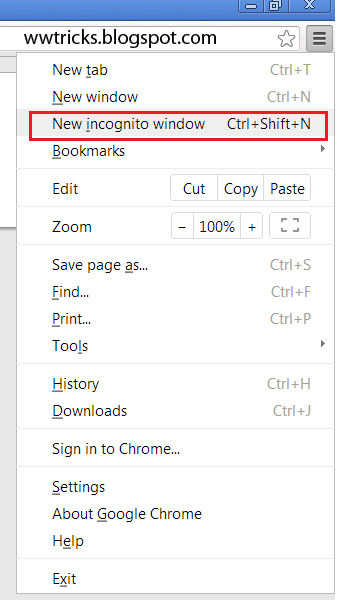 If you are using google chrome and want to activate private browsing then click on "MENU" at the right upper corner and click on "New Incognito window" or you just need google chrome shortcut key so press Ctrl + Shift + N So a new incognito(private) window will pop-up so enjoy private browsing on google chrome browser. 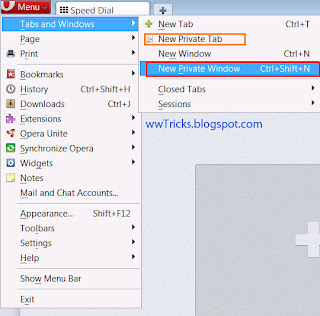 To activate private browsing on opera browser click on 'Menu' present at the left upper corner and then select 'New private tab' for only one private tab in current window or Select 'New private window' for new private window from "Tabs and windows" or just use opera shortcut key i.e press Ctrl + Shift + N. So you will see a new private window. Activating private browsing in internet Explorer is very easy like others browsers, Just launch internet explorer and click on "Safety" and then select 'InPrivate Browsing' Or just Press Ctrl + Shift + P.
If you want to browse privately and don't wanna to save any history of the active session then you have to activate private browsing. 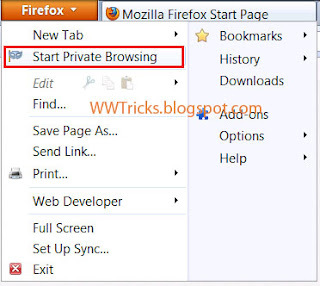 To activate private browsing on firefox click on firefox menu at the left upper corner and click on start private browsing or you can use firefox shortcut key so press Ctrl + Shift + P.
So friends these were some basic tips about browsers you most to know about it. I hope this post will help you. And you will use private browsing when you need. I'm himself using nearly everyday.